Hydraulic cylinders are powerful components that can easily lift and move incredibly loud, heavy objects. They are used in numerous industries on many different types of equipment and applications. A good example of this is the use of hydraulic cylinders for the landing gear on an aircraft. The landing equipment is released with the use of a hydraulic system that uses hydraulic cylinders and other hydraulic system components in order to operate effectively. In this post, we will look at a brief summary of how hydraulic cylinders work. In general, hydraulic cylinders are made in parallel pairs that are different sizes and connected by a pipe. The component is then partially filled with oil or other hydraulic fluid with the unfilled space in the hydraulic cylinders allowing for the different sized pistons to operate. The chamber with the smaller piston will get fluid when force is applied and then push the fluid into the chamber with the larger piston which then moves it. Because of the difference in size, the force of the movement of the small piston is multiplied when it comes to the larger piston. 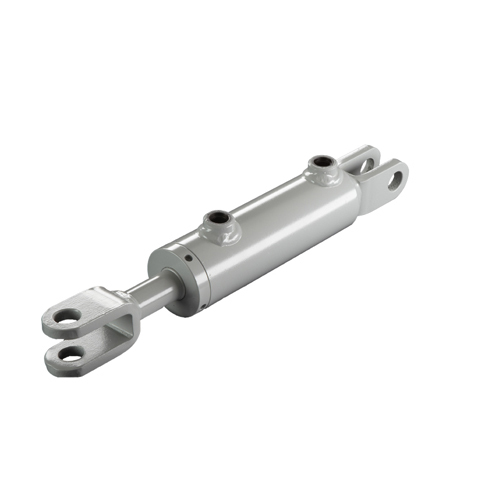 The basic components used in hydraulic cylinders systems are typically: cylinder barrel, piston rod, cylinder bottom or cap, pistons, cylinder head, cylinder bottom connection, rod glands, seals, and cushions. There are also many different types of hydraulic cylinders, including single acting hydraulic cylinders, double acting hydraulic cylinders, telescopic hydraulic cylinders, and piggyback hydraulic cylinders. For OEMs looking for hydraulic cylinders in Grand Rapids, look no further than Best Metal Products. Best Metal has over 60 years of experience working with OEMs in a range of industries. If you have any questions, do not hesitate to contact us today!